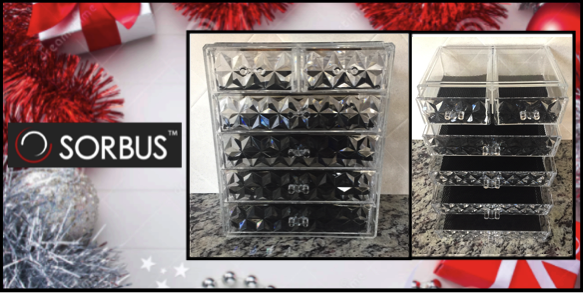 As organization lovers, one of the holiday gifts at the top of our list this season is the Sorbus Cosmetics Makeup and Jewelry Big Storage Case Display. Offered in four different styles and two different drawer options, this case is a chic upgrade to the traditional storage display. We love that it allows you to organize all of your makeup, beauty tools and accessories in one easily accessible place, while adding a bit of style to the bathroom counter, dresser or vanity. 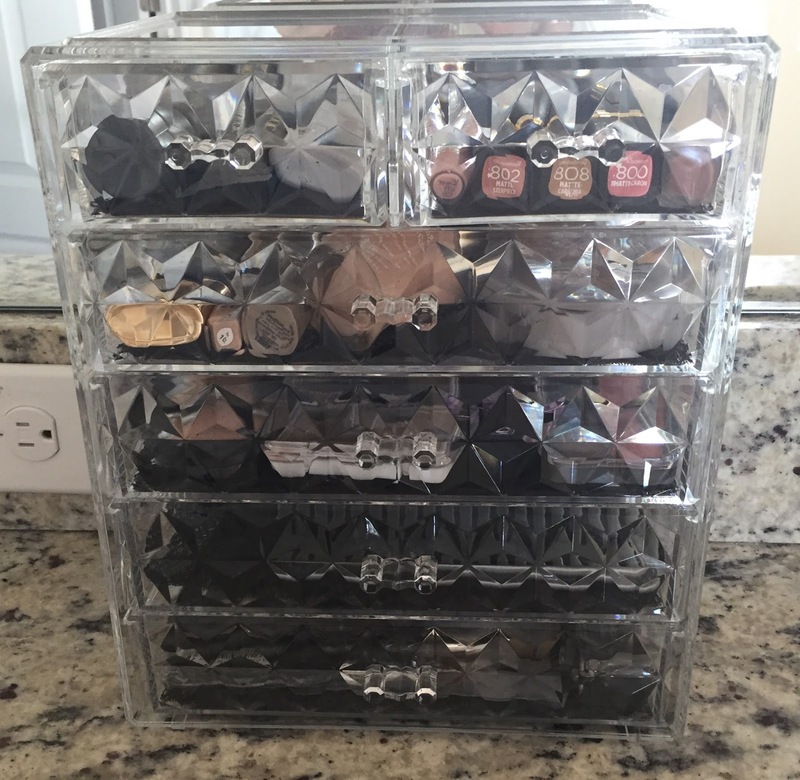 The size and style of this organizer is perfect for beauty lovers. Black mesh padded liners keep items protected and in place while adding an upscale look at the same time. We love when function and style come together so well and we're sure this storage display will be a popular gift for the holidays! Sleek & Stylish: We love that this storage case display is offered in four different styles, so that you can select the design that best fits your decor and personality. We chose the diamond design for it's glam look. Size Selection: The Sorbus Cosmetics and Jewelry Storage Case Display comes in two sizes. You may choose either the 4 Large, 2 Small Drawer or the 3 Large, 4 Small Drawer option. This case fits on most dressers. Display and Organize: Keep your makeup and accessories all in one place, perfectly organized, and easily accessible — Reduce clutter, save time getting ready, and gain space as well. We can't wait to give this chic storage case to our makeup lover this Christmas and are also considering adding the Sorbus Sectional Makeup Organizer on top. No more digging through makeup bags or bathroom drawers to find favorite items! The larger drawers are perfect for oversized cosmetics, toiletries and grooming tools, while the top two drawers are great for smaller items like lipstick, eye shadow, nail polish and more. She'll be able to turn her collection into a functional, stylish display that will be a time saver each morning. This and other varieties of Sorbus storage case displays can be purchased through Amazon.com, delivered directly to your door! Disclaimer: The product in this post was provided by Sorbus. As always, our posts are our own, honest opinions.